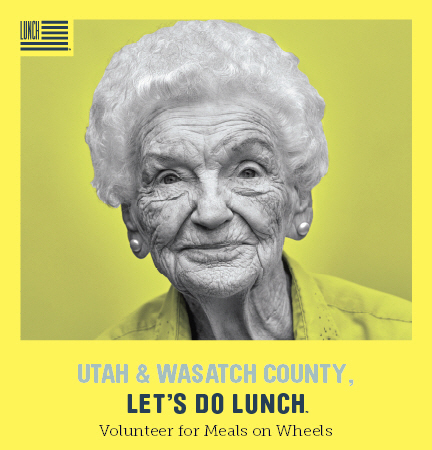 Utah & Wasatch County, let's do lunch! Donate your lunch break today and drop off a meal and a smile to a senior in your neighborhood. Meals on Wheels volunteer drivers use their own cars to deliver hot nutritious lunchtime meals to homebound seniors in our community. Along with each meal, volunteers provide a special touch of comfort and a daily safety check enabling seniors to be independent in their own homes. Make a difference with just an hour a week. give one hour once a week between 11 a.m. and 1 p.m.
are assigned a delivery day Monday through Friday, except for holidays. No weekend or night opportunities are available. Meals on Wheels does not provide court-ordered community service. To volunteer in Utah County, contact Jimmy at 801-229-3821 or jgolding@mountainland.org.